A wonderful Historic welcome to two special visitors. Flying through the corridors in roller skates? It wouldn’t happen in our day! But this is what used to happen years ago in Boclair House Hotel. We were delighted last week to welcome some very special visitors to Boclair and were amazed at the stories they could tell. Harry Steven and his sister Margaret Hutchison got in touch with us and arranged to visit. They used to live in Boclair when it was the Buchanan Retreat, a home for elderly gentlemen with the name Buchanan. Their mum was the Matron while dad worked in the office, maintaining the management side of the operation. They ensured the smooth running of the 14-bedroom house for the elderly Buchanan gentlemen that lived there. For young Harry and Margaret, they suddenly found themselves in a huge house which became their playground, and they were very popular with friends at school who loved to visit this grand mansion. Although the Buchanan Retreat opened in 1890, it was 1947 when the Steven family arrived moving from Byres Road in Glasgow. 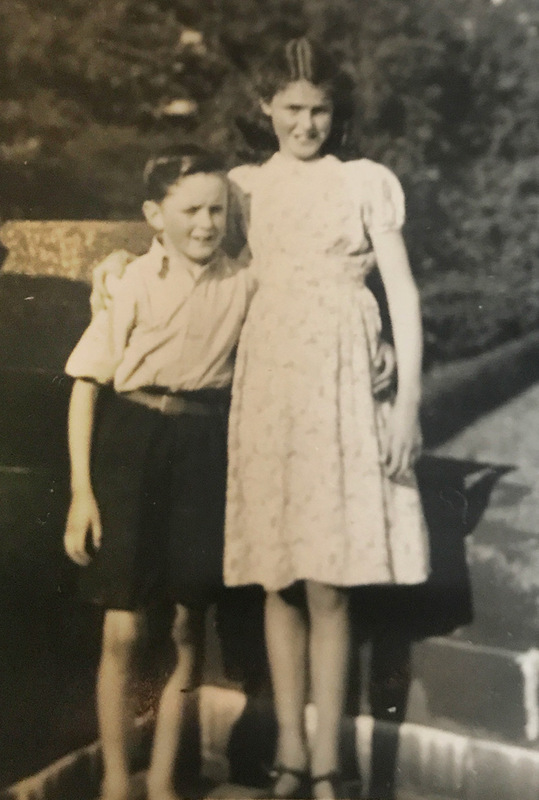 Margaret was 12 and Harry was 10, and they attended Bearsden Academy. Margaret lived at the Buchanan Retreat for around 10 years and left to pursue her nursing career, which led her to London where she met her husband, Doctor John Hutchison. Harry stayed at the Buchanan Retreat for around seven years. He left for the bright lights of London and to work for Argentine Airlines which led eventually to a long career with the Tourist Board. Margaret and her husband John now live in Torquay and Harry lives in Edinburgh. The Buchanan Retreat eventually closed due to a lack of elderly gentlemen to care for and Harry and Margaret’s parents moved out to a little cottage nearby. The Council eventually acquired the property in 1960 and the Buchanan Retreat became council offices. The offices received a Royal visit from Princess Margaret and Lord Snowdon in 1962 when the offices were officially opened. Margaret remembers being there for the Royal visit with her mum in 1962. Harry also remembers how well the Buchanan gentlemen were treated and reckoned the way the home was run was light years ahead of its time. He remembers the men would get lots of perks such as free tobacco, newspapers and entrance to the local cinema. He also remembers getting a black and white television and the usual routine for the gentlemen would be cocoa at 8pm and bed at 10.30pm. Thereafter the children would be allowed to watch the TV for a half hour treat before they went to bed. The Buchanan Retreat had a cook, live-in maids and gardeners to look after the large gardens. Harry remembers riding around on the wheels of the large lawn cutting machine, and playing bowls on the front lawn. There was a huge laundry room with a cement floor which was perfect for roller skating. The laundry room was always a hive of activity where linen and sheets were carefully pressed with steam irons. Meanwhile the spiral staircase would provide endless hours of fun as they would clamber up the stairs and look out. Nowadays the spiral staircase is housed in our romantic honeymoon suite as a unique shower experience. We heard tales inside the ballroom – and what used to be a sitting / dining room and there used to be a smoking room and a billiard room. Harry and Margaret also got to visit what used to be their parents’ bedroom. 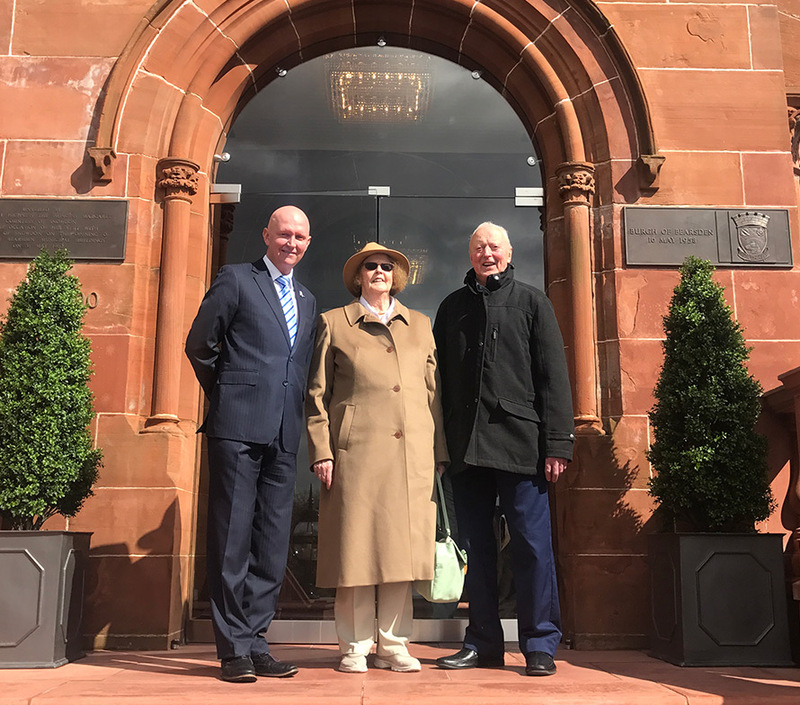 We were delighted to welcome Harry and Margaret to Boclair House Hotel and again we’re reminded just how iconic and important our building is. We love hearing your stories and memories and we’re sure there’s plenty more out there. Please get in touch with your Boclair memories, we’d love to hear them.